Over the years, I’ve thought a lot about that off-handed comment made by my dad and what he meant by it. I don’t think he was saying that a person should purposefully get used or exploited. I’m also pretty sure he wasn’t promoting paying more for something than what was asked – after all, he was Dutch. What I’ve come to realize is he wanted me to understand that worrying about being taken advantage of is no way to live life. And if someone intentionally does “screw” me over – it’s really the other person’s problem, not mine. He was telling me to be generous, to give freely and what someone does with that generosity is their responsibility. In other words, he said it’s better to be a giver than a taker. Little did my dad know, not too many years later he would actually be lying on his deathbed. After his passing our family received mountains of cards and letters. Many wrote us about how my dad made a difference in their lives. We heard stories about the impact of his generosity and his encouragement. We were told by some about how he, as a small town banker, gave them the break they needed when they needed it most. Or how he helped get their new business or farm operation financed when no one else had faith they could make it work. We heard wonderful tales from his co-workers about how they owed a great deal of their success to him because he invested in them as individuals. Just a couple weeks ago, a prominent local businessman stopped me to tell me about the impact my dad made on their entire organization decades ago and that it wouldn’t be where it is today without him. My heart jumped with joy! This month marks twenty years since my dad passed from this world to the next. So I’ve been thinking a lot about him and the lessons he taught me through his words and his actions. His life taught me about not sweating the small stuff. He taught me about honesty and doing what is right. He taught me the importance of family. And he taught me about generosity. Even though he didn’t get as many years on Earth as I would have wished, I’m grateful for the time I did have with him. And I also hope that when I’m on my deathbed I’m known as the guy that got screwed over instead of the guy that screwed over someone else. Thanks for the lessons Dad! I still miss you! 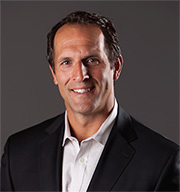 Greg Breukelman works at POET as Senior Vice President of Communications.